Diane Brown on her way to receive an "I Love My Librarian" award. Markeshia Ricks for the New Haven Independent. Almost exactly a year ago, the main reading room of Stetson Library was filled with kids getting in the Christmas spirit. Grammy-nominated jazz musician Chris “Big Dog” Davis and his band members looked over a thicket of red and white Santa hats to the back of the room, where parents milled around with Branch Manager Diane Brown. On one side of the room, Charles R. Smith’s Rimshots: Basketball Pix, Rolls, and Rhythms and Jason Reynolds’ As Brave As You rubbed up against a collection of essays on the work of Richard Wright. The setting, with its sprawling grey carpet and harsh fluorescent light, wasn’t like the jazz clubs where Davis usually performs. But it signaled a different site of pilgrimage, where bibliophiles and community organizers have risen up to make a Black mecca on Dixwell Avenue. Not just in the winter months, but all year round. Diane Brown outside Stetson's current building. Harold Shapiro Photo. That place is Stetson Library, a squat brick and concrete building that sits at 200 Dixwell Ave., in the middle of a shopping plaza. With plans to move to the new “Q” Community House next year, the library is looking back at how it has become a place for pilgrims expected and not—and how it will continue that legacy in a new home. Earlier this year, the library announced a campaign to raise $2 million by the end of 2018, as it moves into the new Q house. Once there, Stetson will occupy the first and second floors of the building’s southwest corner, at the intersection of Dixwell Avenue and Foote Streets. A groundbreaking took place earlier this month, on Nov. 4. Brown said she hopes to make the Dixwell Ave. building into a museum for the neighborhood's Black history. But Stetson’s history goes a century back, its own path to success a sort of institutional pilgrimage. Originally called the Dixwell Avenue Branch Library, Stetson first opened 100 years ago at 213 Division Street, in a modest house provided by the then-booming Winchester Repeating Arms Factory. With another building in Fair Haven, it was one of two branches of the New Haven Free Public Library. Even then, its aspirations were restless: It moved to a larger building at Dixwell and Thompson Streets in 1922, and again to the plaza in 1968. Before its second move, it was re-christened to honor the city’s first librarian, Willis K. Stetson, in 1941. In almost 50 years at the Dixwell location, library staff has struggled with the building’s size and structural limitations, braving leaks, low lighting, cramped meeting rooms and fights between local teens that used to break out at the library’s parking lot and inside. In 2008, then-Mayor John DeStefano suggested that the city might have to close Stetson due to budget cuts and low circulation numbers; the community successfully rallied to save it the same year. But for both City Librarian Martha Brogan and Branch Manager Diane Brown, a change is long overdue. During her 11-year tenure at the library’s helm and longer career for the New Haven Free Public Library (NHFPL), she has made sure that happens. 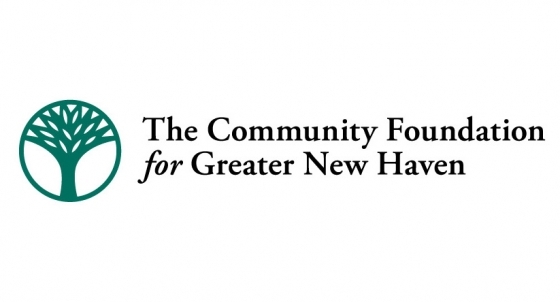 That started in the early 2000s, when she was working as a business specialist for the NHFPL. After three years in that position, the now-late City Librarian James C. Welbourne began to train her, first with two years of work as a librarian and then with a position as branch manager in 2006. Her coworkers weren’t happy with the promotion, she recalled. They pointed to her lack of training, and insisted it was an instance of favoritism. Brown said she felt alone: She was the only Black librarian in the city’s library system, and only one of two Black women employed by the NHFPL. Brown said other branch managers refused to train her. So she trained herself. And she looked at the neighborhood—and decided that it needed a change from within. At that time, over 60 percent of Dixwell’s community was Black (in 2014 it was 64 percent Black and 17 percent Latino, according to DataHaven). That number was 76 percent for neighboring Newhallville. And yet, Brown only counted two shelves of Black fiction in the entire library. So she got on the phone with the companies the library had been ordering books from, and asked what works they had by Black novelists, short-story writers, poets, historians, playwrights, and graphic artists. “I was very honest, I told them I had no training and no one to train me and they got me on a computer and walked me through each step and I did that with each company,” she recalled. As she grew the collection, she also turned her attention to the community’s stretched resources, transforming the library into a safe haven for local teens and students who needed a place to do their homework. She has library victory stories: A little boy named Kenny, who went from coming to a library with a water gun to arriving after school with his homework in hand. Or, an adult book club that hasn’t stopped evolving since its first session. Gradually, she brought in community leaders, artists and activists to teach classes. From virtually no programming sprang up new initiatives like Hanan Hameen’s jubilant“Africa Is Me!” workshops, a chess club, after-school homework help, and semi-monthly collaborations with Long Wharf Theatre. “I reached out to the [New Haven] Fire Department, I reached out to community leaders, I reached out to anyone who looked interested in helping.” she recalled. And they helped her back, spreading the word that she was a community organizer, dressed as a librarian. Brown was a recipient of a 2013 Bill and Melinda Gates Fellowship that allowed her to go back to school for library science, where she finished in record time. In 2015, she was one of 10 librarians nationally to win an “I Love My Librarian Award,” traveling to a ceremony in New York. Earlier this year, she was awarded a Connecticut Library Association 2017 Special Achievement Award. But her love affair with the library—and the Dixwell neighborhood where it lives—goes back much further. Brown’s mother was one of Newhallville’s first Black homeowners, and she grew up with the library nearby. She learned that books were a way to unlock possibilities. And, a way to learn about herself. Now, she’s helping kids do the same. “My job is not just to order books, it's to be an advocate.” she said. “People who come here are the village." That was visible on a recent fall day, as the library greeted viewers from the street with a flash of Pan-African colors. Under a purple awning announcing the library’s name, a mural of the word READ sat front of the building, each letter filled with depictions of Black history and New Haven culture. Flyers for an upcoming Harvest Festival, community celebrations, and free HIV testing covered the windows. It’s what she wants for the community, Brown said. And she knows that the library has growth left in it yet. Throughout the month of November, The Arts Paper will be profiling winners of the 2017 Arts Awards. Those winners are: Kevin Ewing, Diane Brown, Musical Intervention, New Haven’s Nasty Women Exhibition, the Architecture Resource Center (ARC) and Jock Reynolds. This is our second installment. Lucy Gellman contributed reporting for this article.